Activision has announced The Resistance, the latest community event to come to Call of Duty: WWII. Beginning on January 23 and lasting until February 27, this five-week event adds The Resistance, an all-new playable and permanent Division added to multiplayer, available to all players, starting on January 23. This Division focuses on the element of surprise and close-quarters combat. Once fully-leveled up, Resistance skills will include a Pistol Tactical Knife combo, the ability to scramble nearby enemy mini-maps, an additional pistol attachment, and a mini-map indicator in the direction of nearby hostiles. Alongside Gun Game, which will be returning during The Resistance, there will be two new game modes at different times during the event. Continuing with the Resistance theme, Demolition is a spin on Search & Destroy with respawns available. 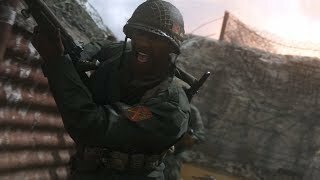 Prop Hunt mode also makes its debut in Call of Duty: WWII, as players will have the opportunity to hide in plain site as objects, while the enemy team hunts them down. In addition to new Collections of Resistance-styled gear, players can also obtain new weapons via Orders from Major Howard. 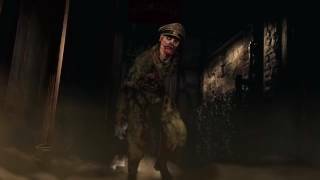 These include a new assault rifle: the Volkssturmgewehr, the Orso: a new SMG, and a new melee weapon: the Combat Knife. The Resistance will also provide some free loot. 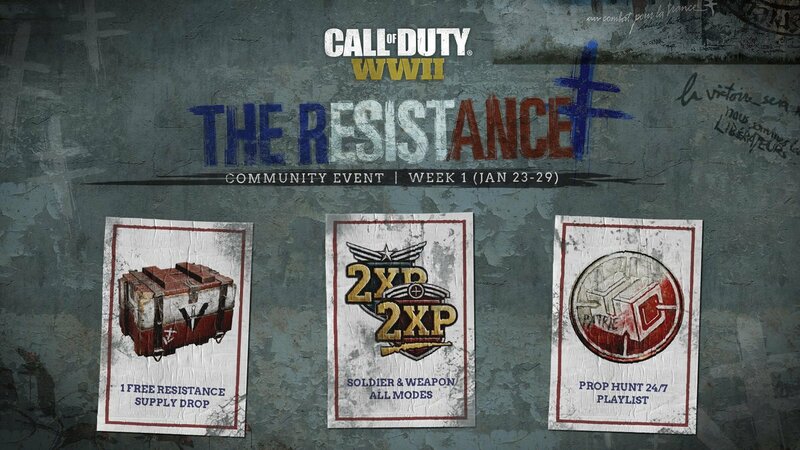 Players can receive a free Resistance Supply Drop every week during The Resistance, simply by logging in. 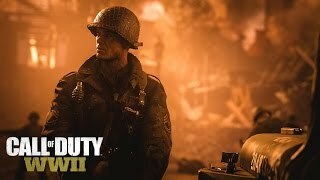 Call of Duty: WWII is available on PC, Xbox One and PS4. There are currently 0 members and 183 guests on the website right now.